Tracksounds: Who Should Score The Amazing Spider-Man? Who Should Score The Amazing Spider-Man? If you missed the coverage of the next iteration of SPIDER-MAN on the big screen, don't worry there is going to plenty of coverage over the next 12 to 18 months. Today, however, Sony made it's first press release regarding the upcoming reboot. 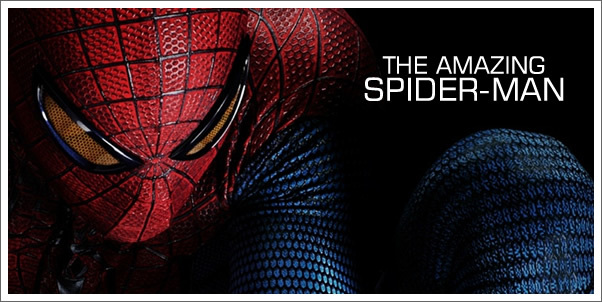 The film will be entitled THE AMAZING SPIDER-MAN and will star the likes of: Andrew Garfield, Emma Stone, Denis Leary, Martin Sheen, and Sally Field. The film is being directed by Marc Webb (500 Days of Summer). Now that's not too shabby at all. Well, of course, you have noticed that there is no announcement of the composer for the original score just yet...and likely won't be for some months, but that just gives us time to specula...err dream a little. With a full reboot after only a decade, I have to wonder just how far they will move away from what Raimi, Elfman, et al did for the last Spidey-trilogy. As one of the seemingly few, who didn't enjoy the last three films all that much, I see it as a great opportunity to do something special with the film...and it's score. Notice I said "second greatest hope" above? Of course, you did. My greatest hope is that the director and producers do something truly daring...and that is to resurrect that classic theme originally written by Bob Harris. You'll probably remember Harris' catchy, jazz, melody was given its true addictiveness by Paul Francis Webster's lyrics, "Spider-man, Spider-man. Does whatever a spider can..." Instead of delivering another mostly-adequate-underscore, I'm hoping they do something much more risky, something much more memorable to help set this super-hero film apart from the deluge of such films that will pound through our local multiplexes over the next two years. Lastly, I'd like to put forward at least one name that could pull off this sort of score coup. The composer who immediately comes to mind is MICHAEL GIACCHINO, who certainly handled the 60s style jazz genre with spectacular results in THE INCREDIBLES and has successfully taken on franchises with iconic musical themes: STAR TREK and MISSION: IMPOSSIBLE. So here's a chance for one super-hero franchise to do something truly amazing...at least in the realm of the original score. Leave us a comment telling us what you think about the upcoming Spider-Man movie, what sort of score it deserves, and who should score it.